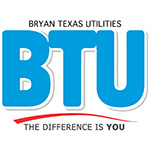 Bryan, Texas – Bryan Texas Utilities (BTU) has contracted with Mesa Line Services to perform reconstruction of the Atkins-Briarcrest 69kV transmission line. The reconstruction is needed to support growth in the area and to help with electric reliability. The construction work will extend from Goessler Road along Villa Maria to the Wellborn Road intersection. 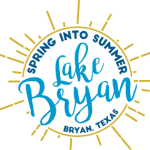 The contractor is working with City of Bryan and Texas Department of Transportation on this project, as there could be traffic control requirements with intermittent lane closures. This project is scheduled to commence on November 30, 2015, and should be completed by June 30, 2016. Work will typically be performed Monday – Friday, 8 a.m. – 5p.m. Area residents may notice Mesa Line Services trucks and personnel in the area throughout the project period.